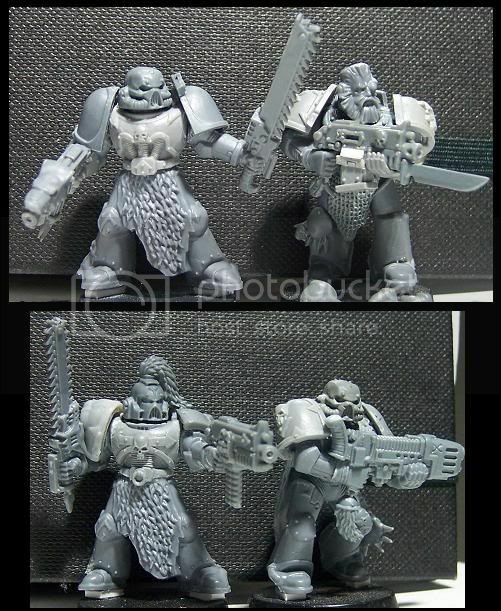 First up the 8 csm for the normal shooty squad, these be the old, grumpy renegade dark wolves. They need some minor tidying up, some green stuff and an extra detail here and there, but they will be done somewhere tomorrow. 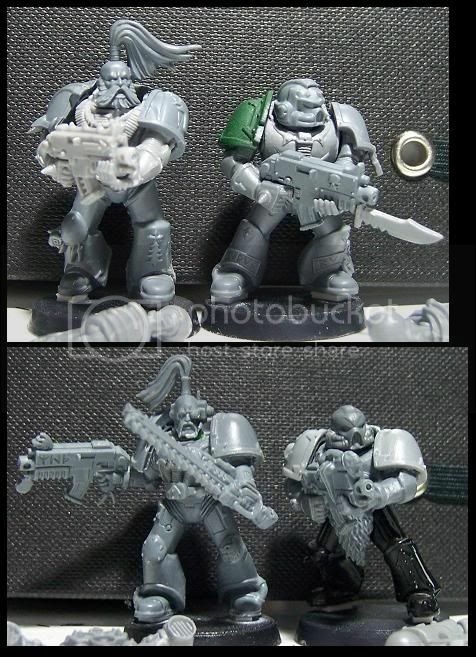 Still to come are the backpack, tidying up the green stuff, a 7-8 piece sword and perhaps something in his other hand. And that is it for this update, more coming soon. Including the finalized chaos lord, 2 more Nid projects and some more Relictors (finally! ).